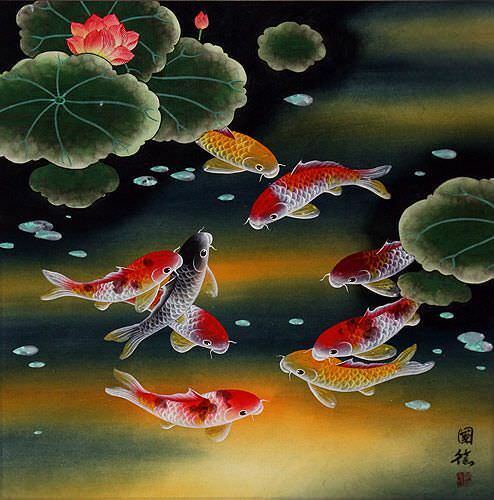 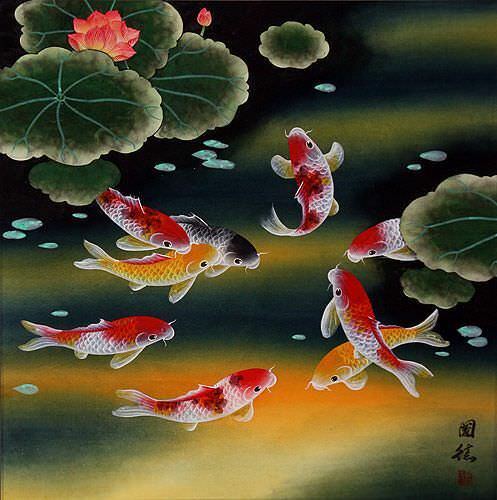 Artwork Panel: 65.2cm x 65.7cm ≈ 25¾" x 25¾"
Silk/Brocade Border: 75.2cm x 75.7cm ≈ 29½" x 29¾"
This is a gorgeous koi fish painting that you will be proud to hang in you home. 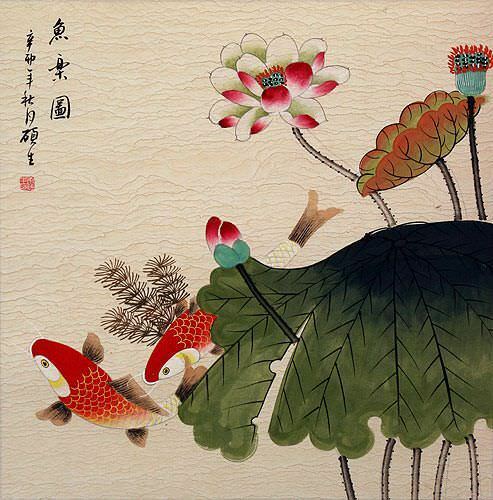 The title is 連年有餘 which basically means, "year in, year out, have abundance." 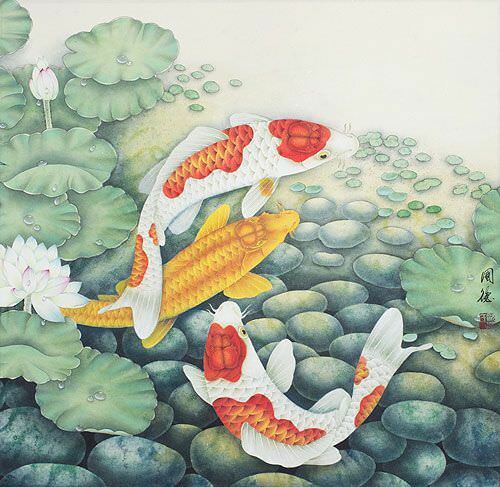 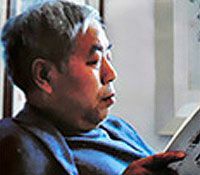 The word for abundance sounds like "yu". The word for fish is a homophone to this abundance character in Chinese. 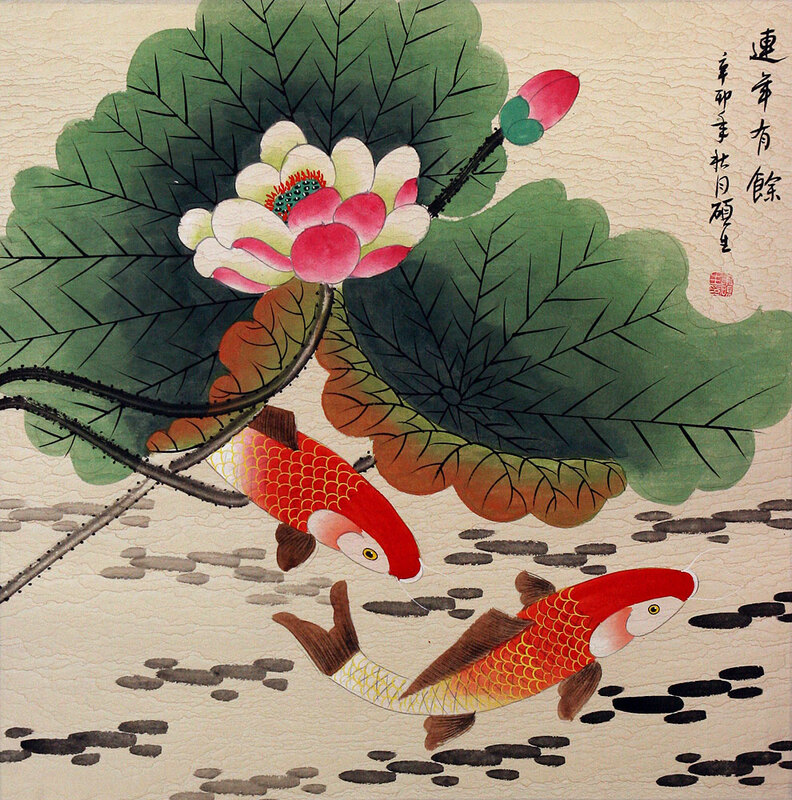 Therefore, fish have come to represent having abundance in Chinese culture.